KISS ROCK Whisky a Go Go Monday! 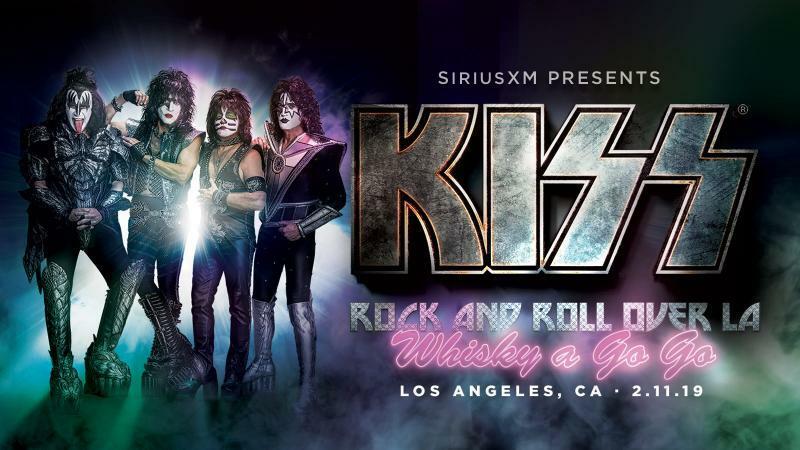 KISS will perform an intimate invitation-only show for SiriusXM subscribers and VIPs tomorrow at LA's famed Whisky a Go Go on the Sunset Strip in Los Angeles. The exclusive performance will air on KISS' exclusive SiriusXM channel, KISS Army Radio. The special concert for SiriusXM will feature KISS performing songs from the band's 46-year career. This marks the first time KISS has played a club in over twenty years and will be their first performance at the world famous Whisky a Go Go in Los Angeles, the venerable rock club on the Sunset Strip that has played host to rock 'n' roll's most important bands and artists, from The Doors, to Janis Joplin, to Led Zeppelin, as well as today's emerging new artists. KISS Army Radio launched on Monday, February 4 at 5:00 pm ET via satellite on channel 30 and will run through Sunday, February 17. CLICK HERE to listen to KISS ARMY Radio now!